(Summer 2016) Let's turn turn Main Street into a giant Slip and Slide of awesomeness and fun and slide the mayor while we're at it! This Father's day (June 2016), we are hoping to join the 150,000 attendees coming out to the 12th annual Car Free Day in style with a giant waterslide. WE NEED YOUR HELP to tell the city we want to slide and get ready to bring your floaties, your costumes and your rubber duckies. Slide the Main will be Mount Pleasant's first water slide bringing together the community for a day of awesomeness under the sun. 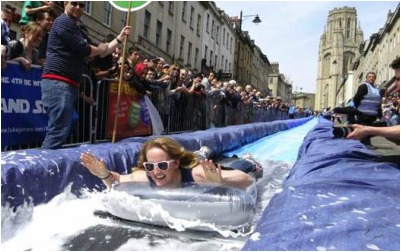 Inspired by urban artist Luke Jerram's Urban Slide Project in Bristol, Slide the Main, a community initiative, is looking to turn Main Street (14th and 16th ave) into a GIANT WATER SLIDE open to all public. We are in talks with the Bristol Slide organizer to put together a proposal to the city alongside with safety assessment, blueprint, safety protocols and operating procedures. We need your support to make it happen. We need 1,000 signatures to present to City Hall that WE WANT TO SLIDE THE MAIN, and as a stretch goal, if we get 10,000 signatures, we WILL call on the MAYOR to personally slide down main street himself (Slide the Mayor). Post this on Twitter: "www.slidethemain.ca is looking to Slide the #Mayor, RT if you want to see this. #MainStreetSlide"
Note: This video is Luke Jerram's Bristol Park Slide event May 2014. We will be doing something a Vancouver version of this awesome experience on Main Street. Unlike the other slide project, this is a community initiative made by the community for the community. We invite everyone to come out and participate to make this event awesome. To make this 100% community organized and community oriented, we invite members of the community and whoever interested to step up and be a core organizer and bring their talents and knowledge to the table. Come out to our brainstorming meeting and see how you can fit in. We are considering different options from kickstarter to partnering up with a local ethical social enterprise or a city grant. Like our Facebook and sign our petition to keep posted. We are also open to local organizational sponsors (ethical ones). Please email slidethemain@gmail.com to discuss more. -Join our Facebook group & make our logo your Social Media profile pictures. -Tell your news channels that we're signing a petition to SLIDE THE MAYOR! -Post this on Twitter: "www.slidethemain.ca is looking to Slide the #Mayor, RT if you want to see this. 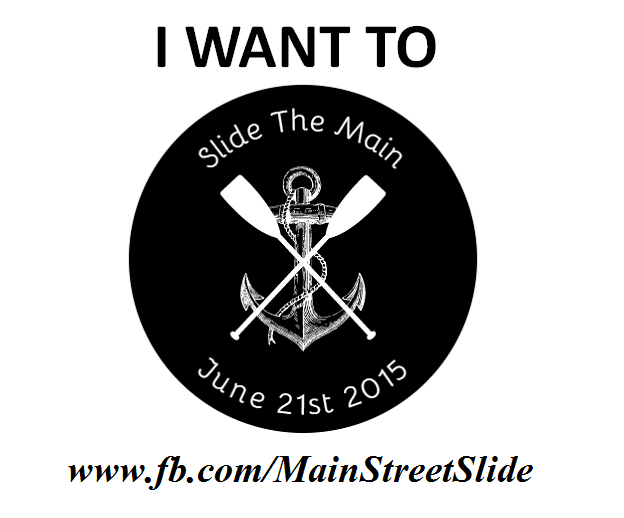 #MainStreetSlide"
We are a community initiative conceived over a beer night from a few main street residents who are passionate about reclaiming the street for community awesomeness. Slide the Main is organized by the community FOR the community, WE ARE NOT AFFILIATED WITH CAR FREE DAY BUT WOULD LIKE TO BE PART OF THEIR BLOCK PARTY. Our goal is to make community slipping and sliding DECENTRALIZED (Similar to Decentralized Dance Party) and easily carried out by anyone anywhere! We are not directly affiliated with any businesses, corporations, political groups or government agencies. Don't just watch us, get on the slide! Please help make this event possible by helping us get to 10,000 supporters! Spread the word, tweet about it, share on Facebook, Reddit and on any forums. We are considering different funding models to make this possible from Kickstarter campaign, asking the Mayor for a grant and maybe asking for ethical sponsorships to make this possible. Please bookmark this page and sign up to keep up to date. Tell your friends, tell family, tell your boss (to sponsor us) and lets get 10,000 fans! 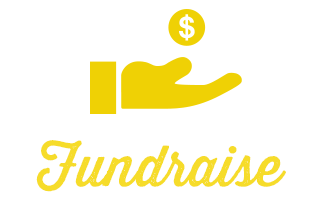 (to pay for website, waterslide, etc...), we accept Bitcoin donations only!